OMG. 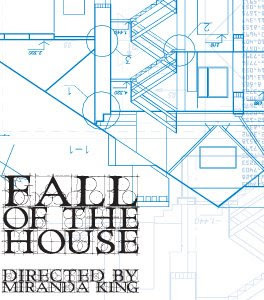 I can't even get these words out fast enough...but if you haven't seen Fall of the House this season (or ever for that matter) you need NEED to check it out. It's back and better than ever. And I seriously recommend calling ahead for a reservation because they are selling out. There are only two more episodes this season so make sure you're caught up on the draaama for when it comes back in January. I plan on going to all of the shows this season, I'm super addicted. Maybe it's because I don't have a T.V., or maybe it's just really that good, my hunch is it's really that good...but you won't know I'm right until you check it out. AND it's for everyone, it's uber Portland and there is nothing we love more than reminiscing about how we all belong to Club Portland. For more information check out the action/adventure website.